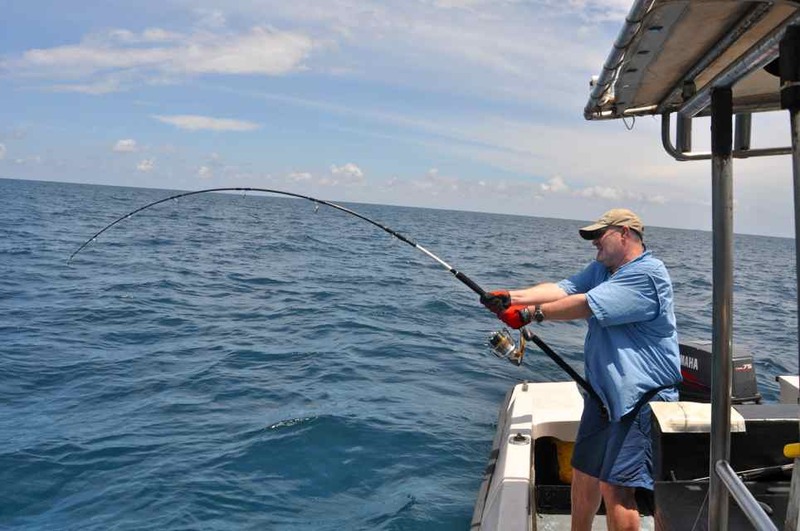 Casting surface poppers into fish rich tropical seas is not for the faint hearted. 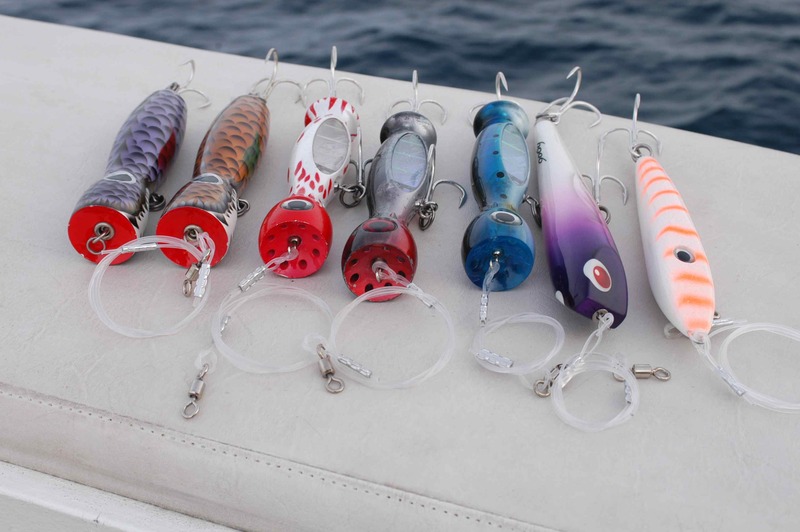 Cast up to 12in of intricately carved timber or plastic into the white water fringe that invariably will be breaking over the outer reef edge, start to retrieve, and I challenge you to prevent your jaw from dropping wide open when you watch a 50lb Giant Trevally appear behind the lure and then demolish it. The take, if you can call it that, is an explosion of white water that has to be experienced to be appreciated. Imagine you are sat by a hotel swimming pool and someone throws a TV set out of a top floor window into the pool and you’ll start to get the picture! The fight can only be described as brutal. It isn’t pretty and certainly it isn’t subtle, as the fish rips yard upon yard of line at ease from a drag setting that is barely possible to pull line against by hand. 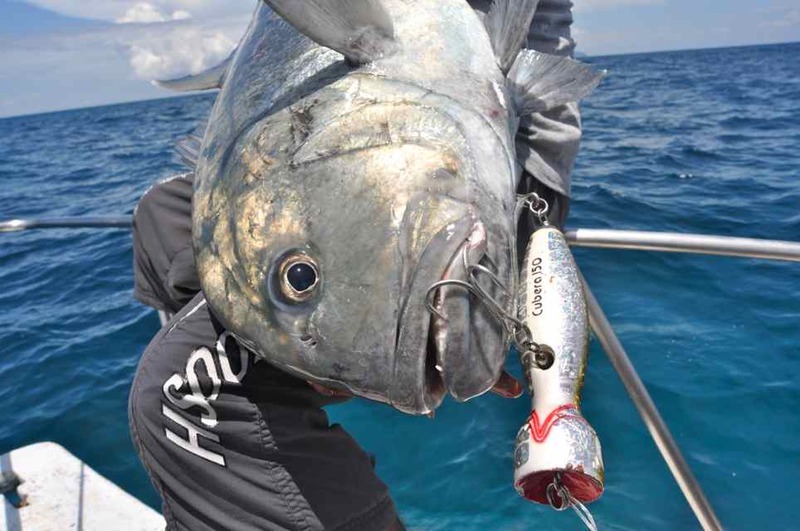 Ease up on the pressure and in many cases the fish will succeed in smashing your 80lbBS braid and 200lb mono leader to bits among the reef, but when you do successfully subdue and boat your fish, the sense of achievement can be positively overwhelming. As soon as you can you launch the plug into the midst of the frenzy and instantly start to crank it back across the surface as fast as you can. The takes are mind blowing; an explosion of white water and an arm wrenching jolt as the fish grabs the lure, kicks down a few gears, lights its after burners and screams off. 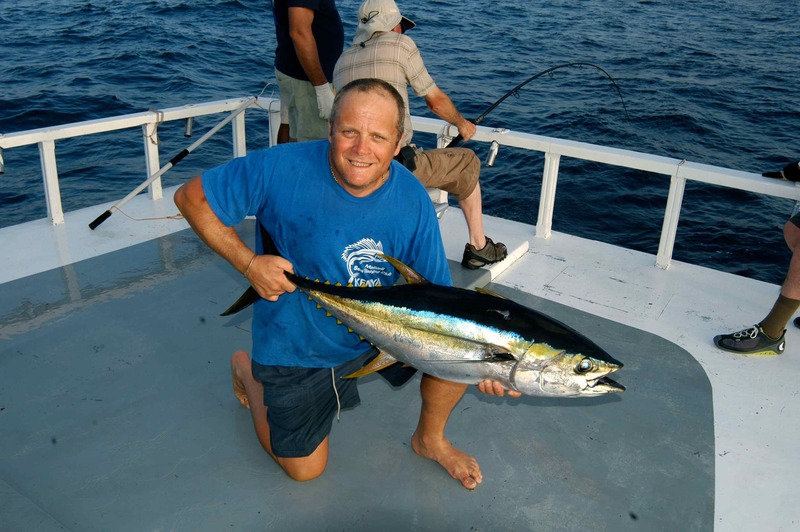 Most of the tuna you’ll catch will be in the 30-60lb class, schoolies, but ton plus yellow-fringed lumps of muscle are always on the cards. Obviously you’ll need suitable tackle for such demanding fishing, notably a quality fixed spool reel that has been designed specifically for the routine abuse it will be subjected to. The Shimano Stella range are the tried and tested favourite of most tropical popping aficionados, but the more affordable Shimano Twin-Power & Saragossa range of reels are an excellent choice, too. Likewise you’ll need a good rod, and again Shimano manufacture some of the best off-the-shelf popping rods on the market. 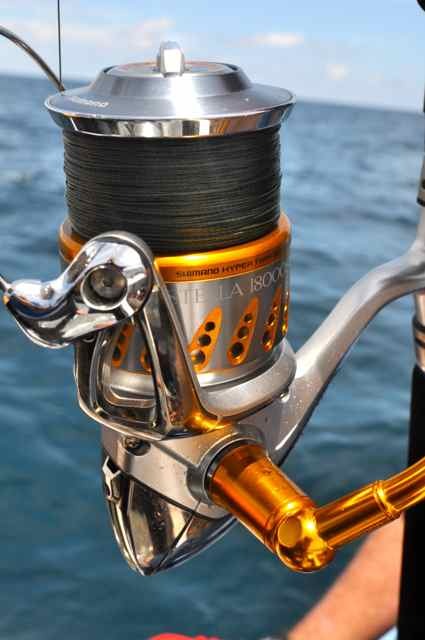 My personal favourite is the Shimano Caranx Kaibutsu Long Cast. If you are restricted by a budget then it is possible to utilise a good quality mid-heavy uptide rod for surface popping. Andrew Leaves take the strain on a a good GT at ‘The Sister’. The rod is a Shimano Caranx Kaibutsu Long Cast. Thanks for all the information generously shared! My name is Antonio and i am from Brazil. 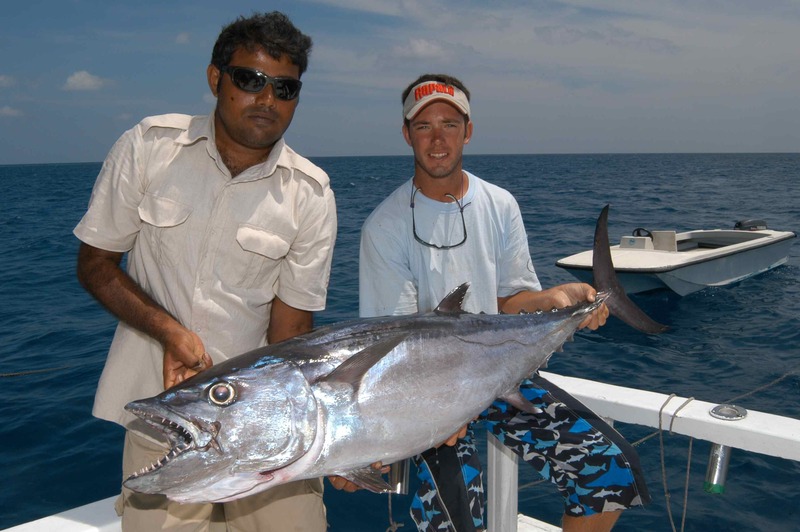 Would you know and suggest a country apart from Australia where i could target big GTs and perhaps Tuna from the rocks(shore)? ?